The ECG or electrocardiogram is a recording of the electrical activity of the heart produced by attaching sticky patches (electrodes) across the front of the chest and on each limb. 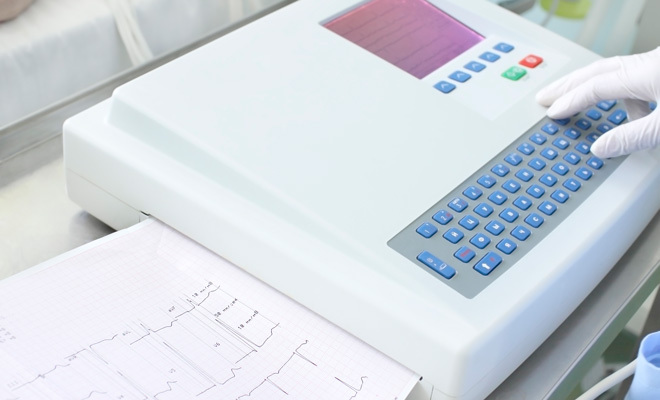 First recorded in man in London in 1877 by Augustus Waller at St Mary’s Hospital, the electrocardiogram remains a crucial investigation in the evaluation of patients with heart complaints to this day. The ECG may reveal changes indicating a restriction in coronary blood flow (ischaemia), especially if the ECG is recorded during an episode of heart pain (angina). However, a completely normal ECG does not rule out significant heart disease. 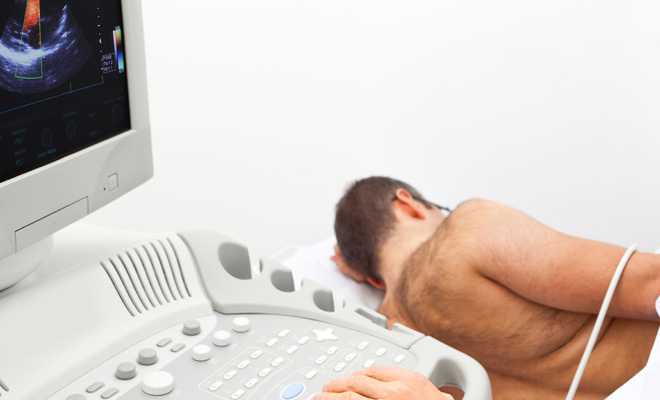 An echocardiogram is an ultrasound examination of the heart. It was first described in its current form by Elder and Hertz in 1954 in Sweden. 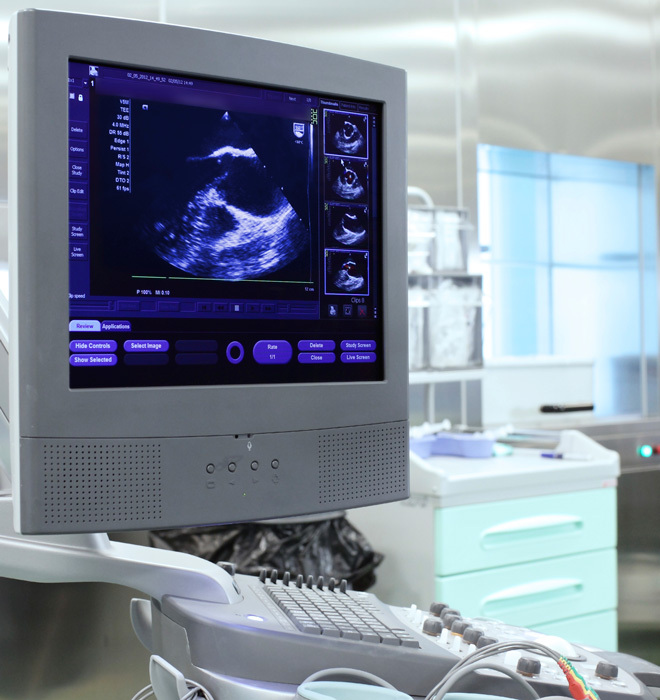 Echocardiography represents one the major advances in the diagnosis of certain heart conditions. It provides information on the structure of the heart especially the heart valves, heart chambers, and the function of the pumping chamber of the heart. This is an ultrasound scan of the heart which provides more detailed information on the structure of the heart and the valves of the heart in particular. With recent advances in technology it is now possible to routinely obtain 3 dimensional images of the heart structures using ultrasound. This helps to improve the accuracy of our diagnosis of structural heart disease. Transoesophageal echocardiogram requires the passage of a tube (probe) into the oesophagus (gullet) and the test is done with local anaesthetic and sedation, if required. The reason why the transoesophageal echocardiogram produces better quality images compared to the standard echocardiogram (also known as transthoracic echocardiogram) is because the ultrasound probe in the oesophagus is physically closer to the heart and the passage of ultrasound is unimpeded by any other structures. Transoesophageal echocardiogram is an invaluable test for assessment of the valves in the heart and to diagnose masses and blood clots which may be responsible for strokes (cerebrovascular accidents). In patients who have suffered an unexplained stroke (cryptogenic stroke) transoesophageal echocardiography with bubble contrast remains the first line of investigation to look for a patent foramen ovale. A heart monitor allows the ECG (electrocardiogram) to be continuously recorded over an extended period ranging from 24 hours to 7 days. 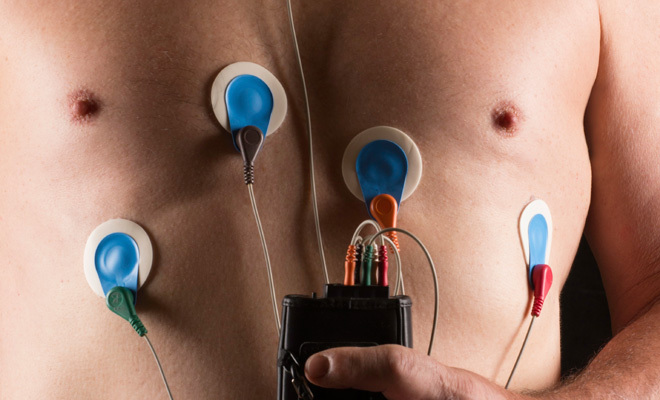 Unlike a resting ECG which requires multiple electrodes, an ambulatory ECG monitor only requires 3 electrodes to be attached onto the front of the chest. These electrodes are connected to a recording device which is the size of a bleeper or pager and this makes it possible to wear this device during ordinary activities at home and at work. It is designed to record any disturbance in the the heart rhythm and rate. It is useful to investigate symptoms of palpitations or dizziness, especially if the symptoms occur frequently. If symptoms such as dizziness or blackouts are very infrequent an implantable loop recorder (Reveal device) can inserted under the skin on your chest under local anaesthetic. Loop recorders are about the size of a pack of gum and they can monitor the heart rhythm for period for a very long period of several years. New devices can now automatically transmit the ECG information remotely so the patient does not require additional visits to hospital to analyse the data whenever symptoms such a s dizziness or blackouts occur - Reveal LINQ device. This test involves the patient exercising by walking on a treadmill at increasing speed whilst the ECG is recorded. The rationale for this test is that there may not be signs or symptoms of coronary heart disease when the heart is at rest. But when the heart has to work harder during exercise (physical stress), it needs more blood and oxygen. Narrow arteries can't supply enough blood for your heart to work well. As a result, signs and symptoms of coronary heart disease may occur only during exercise. The stress test detects changes in the ECG, blood pressure and heart rhythm during the exercise. It also allows symptoms such as chest pain and breathlessness to be detected even if this is present at a low level of exercise. 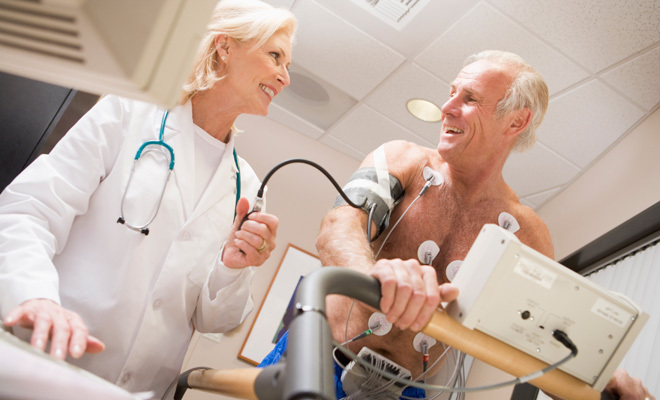 If physical exercise is not possible due to arthritis or poor mobility in general, there are alternative tests which use pharmacological stress (an infusion of medication which causes the heart to beat faster) such as stress echocardiogram or myocardial perfusion scan. Stress test can help with the diagnosis of chest pain and coronary heart disease. It is also useful in the assessment palpitations or arrhythmia especially if they are provoked by exercise. A CT coronary calcium scan is an X ray test that looks for calcium in the walls of the coronary (heart) arteries. These specks of calcium are easily detectable in a CT (computed tomography) scanner. Since coronary calcification are an early sign of coronary heart disease, a coronary calcium scan can show whether you're at risk for a heart attack or other heart problems before other signs and symptoms occur. A coronary calcium scan is most useful for people who are at moderate risk for heart attacks. Conversely, if the CT calcium score identifies a low risk of coronary heart disease this information is useful because treatment with drugs such as statin may be avoided (or be discontinued). A CT coronary angiogram is a non-invasive test and does not involve the insertion of cardiac catheters to directly inject dye (contrast) into the coronary arteries. Instead an X ray scan is performed in an CT scanner to show up the coronary arteries with the help of peripheral injection of dye (contrast). This dye is usually given into the arm via a venous cannula. A CT angiogram allows blockages or coronary artery narrowings, which predispose to heart attacks, to be detected non-invasively (without insertion of catheters into the body). This test involves the insertion of a very fine and flexible tube called a cardiac catheter into the aorta in order to inject dye (contrast) directly into the coronary arteries. The catheter is inserted into the groin (femoral artery) or the wrist (radial artery) and passed into the main artery, the aorta, arising from the heart, under X ray guidance. 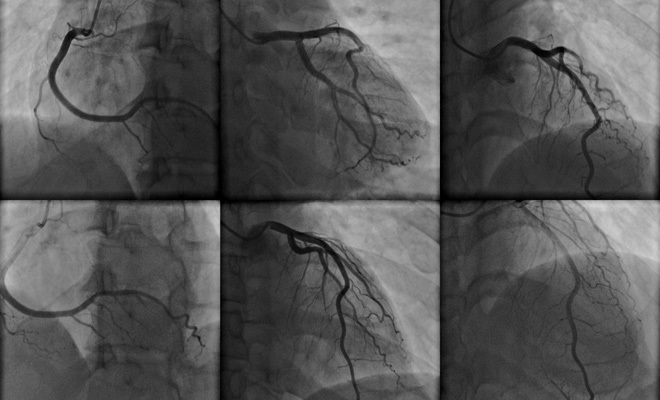 Multiple X rays are taken of the coronary arteries. The test is done under local anaesthetic and sedation. This test can be done with the patient awake because the passage of the catheter in the patient’s arteries causes little or no discomfort. This test (selective coronary angiography) was first performed by Mason Sones in the USA in 1960’s. It remains the gold standard test to determine the extent and severity of coronary artery blockages, and to allow heart specialists to decide the best treatment strategy to restore blood supply to the heart. Such treatments include medication, angioplasty and stent insertion and coronary bypass surgery. This test involves injected of a safe, radioactive substance called a tracer is the bloodstream through a vein. The tracer travels to the heart and releases energy. Special cameras (gamma camera) outside of your body detect the energy and use it to create pictures of the heart. Myocardial perfusion scans are used to check how blood is flowing to the heart muscle. Two sets of pictures are taken during a nuclear heart scan. The first set is taken right after a stress test, while the heart is beating fast ( this usually injection of a medication which speeds the heart rate up (pharmacological stress). The second set of pictures is taken later, while the heart is at rest and beating at a normal rate. 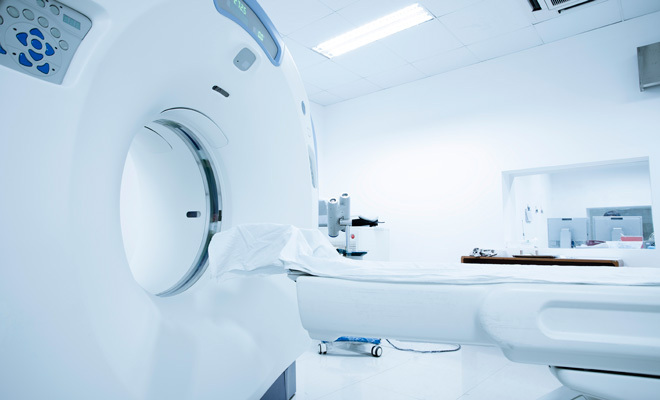 Magnetic resonance imaging (MRI) is a safe, noninvasive test using radio waves, magnets, and a computer to create still and moving pictures of the heart and major blood vessels. It does involve the patient going through a donut shaped scanner and rarely some patient feel claustrophobic and are not able to complete the scan. A contrast agent, such as gadolinium might be injected into a vein during cardiac MRI. The substance travels to the heart and highlights the heart and blood vessels on the MRI pictures. Unlike other imaging tests, MRI doesn't use ionizing radiation (X rays). Cardiac MRI can be use to assess blood flow to the heart muscle to diagnose coronary heart disease in the patients with suspected angina or heart pains. It has the unique ability to check for scar tissue in the heart such as from previous heart attacks. It can also detect swelling (oedema) and inflammation in the heart muscle and be used to diagnose a condition called myocarditis. Due to its ability to assess the heart muscle in a very unique and comprehensive manner, it is used in patients with suspected heart muscle disease such as dilated or hypertrophic cardiomyopathy. Cardiac MRI is also used to diagnose abnormal masses in the heart.